Are you ready for the ghost with the most? 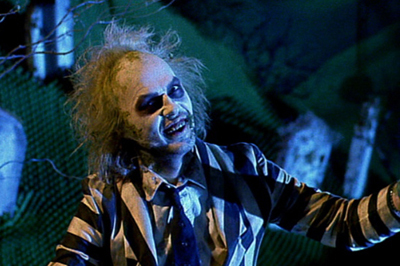 The warped mind of Tim Burton brings us Beetlejuice. Adam and Barbara Maitland have recently died and now evoke Beetlejuice's help. So say it once, say it twice, third times a charm. You may not fully understand the handbook for the recently diseased or deceased, but how well do you know Beetlejuice?